A great way to show your colors. The flag hooks easily onto your side window and won't fall off when the window is in the up position. Pole and flag are sturdy enough to hold up under highway speeds. 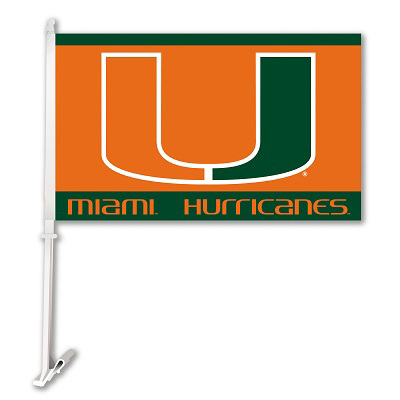 This is a 2-sided durable car flag. Officially Licensed by Collegiate Licensed Products and the University.